You know what they say, two’s company, and if you’re going for a stroll with two little ones, you’re going to need a double stroller. 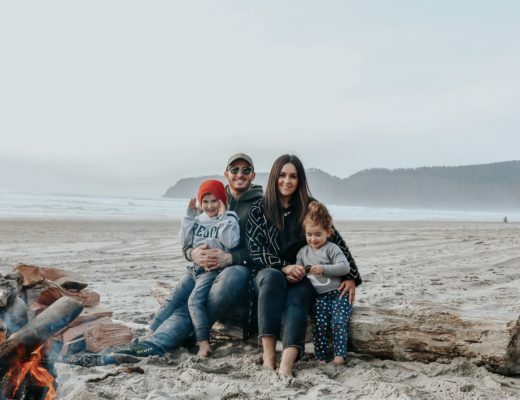 Here’s the thing, one stroller might be a great choice for one family, but not an ideal pick for another, and that’s because different strollers are suitable for different types of usage. If you go for walks on trails, gravel paths, on icy sidewalks in the winter, or any other conditions that aren’t ideal, you’ll want to find a stroller than can accommodate that, which will naturally be a sturdier one with a possible higher price point. If you only ever use it for short walks, need one for city use, or if one of your little ones will be grown out of it soon, you will have other things to consider. Either way, whatever your need – we’ve got it all covered right here! What Do All Of These Strollers Have In Common? Across the variety of price ranges and features, from lighter duty strollers to heavy duty ones, there are a few things that they all have in common. For starters, they can all carry two kids. Secondly, they’re all a “great value”. 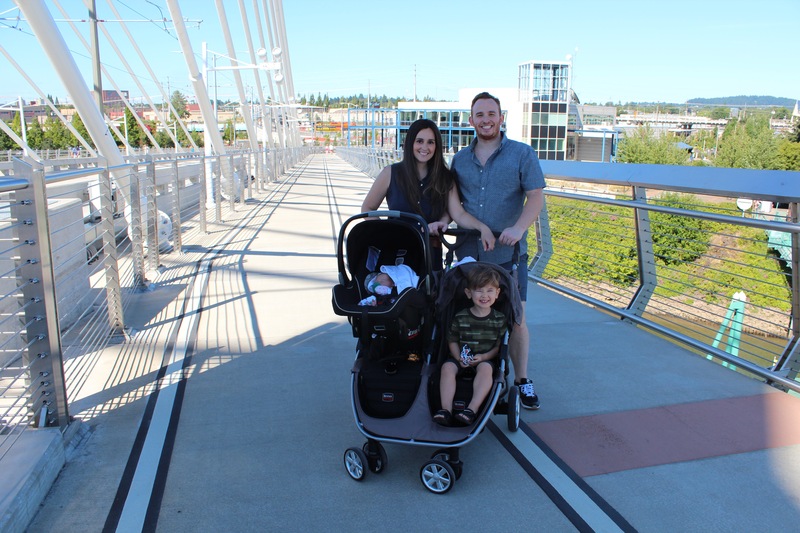 We’ve combed through countless stroller reviews from real people to see what their experiences were and to look for any re-occurring problems with any of them. By doing this, we’ve been able to weed out countless other strollers that didn’t meet the mark and leave you with our top five favorites. Whatever the price, you can rest assured you’re getting your money’s worth. 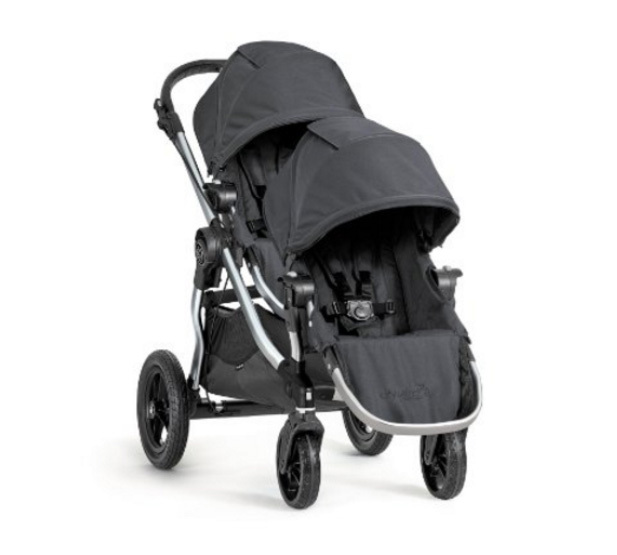 From a stroller that costs under $100 to the best strollers above $500, and beyond. They all meet certain safety standards. The Scooter X2 by Joovy is a side-by-side style double stroller that’s still lean enough to fit through a doorway. The wheels are now larger, giving added stability. 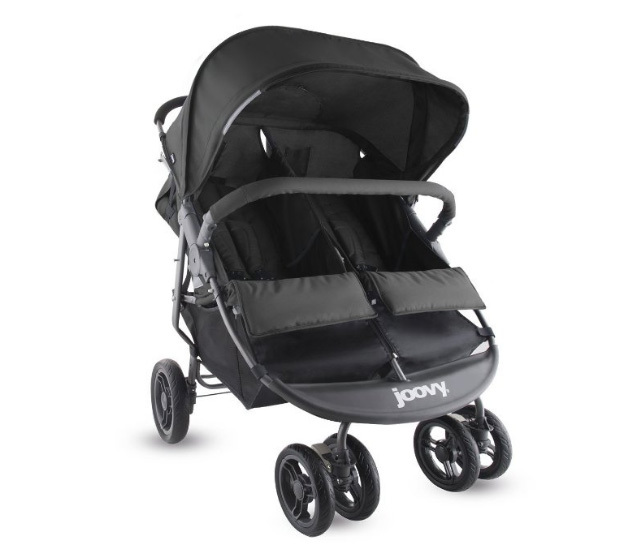 There is a ton of storage, in fact Joovy claims that they have the largest storage basket and canopy on the market. The seats can recline in a wide range of positions, and they both recline independently from one another. There are also a couple of zippered pockets for phones or wallets, and cup holders for your latte. The quick one-hand fold is convenient when you’ve got two little ones running around, an extra hand is always appreciated. This stroller can carry 90 lbs in total, up to 45 lbs in each seat. One thing to keep in mind is that there are NO car seat adapters for this stroller, so if that’s a feature you’re after – you’ll have to find one that can accommodate that need, like our next stroller, the Britax. This is the highest-end stroller we’ve looked at so far and my personal favorite. I have the single and double version of this stroller, that is how much I love it! The Britax B-Agile is a leader when it comes to the top strollers year in and year out, and the most recent B-Agile Double is no exception. It only takes a few seconds to close up this stroller, which is noticeably sturdier than others we’ve looked at so far. The larger rear wheels give you extra control, and the handle bars can adjust for taller or shorter parents, so everyone is comfortable when it’s their turn to push. 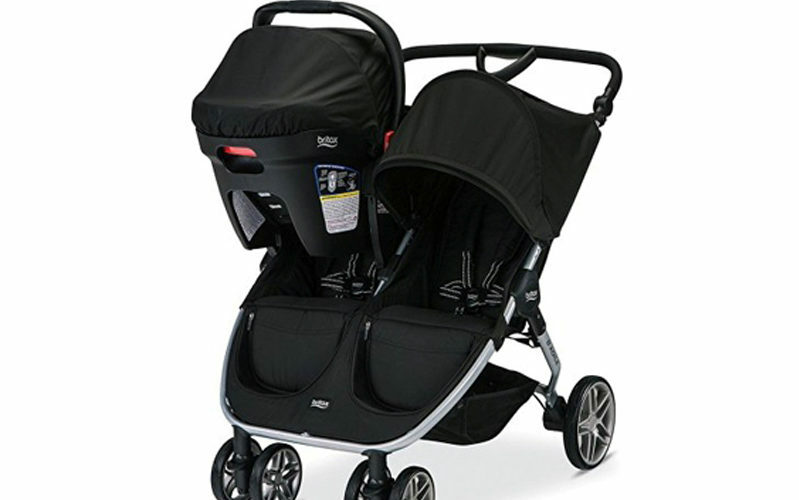 This stroller uses Britax’s Click & Go system, and is compatible with all of their car seats. The car seat can be placed forward or rear facing. Some owners have reported using it for running, whereas others will prefer to use a stroller that’s specifically designed for running or jogging. The Britax has two large zipper pockets behind each seat and a large storage bin underneath. It does not come with cup holders but they can be purchased separately for a reasonable price. The seats in this stroller can recline to nearly flat, but not quite flat and they each recline separately. The canopy is large and offers ample shade from the sun and the elements. Again, I own the single and double version and highly recommend this stroller to anyone who asks! 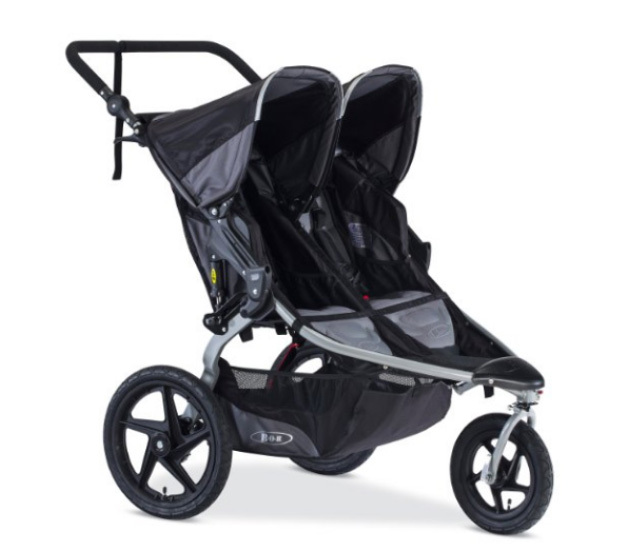 If you take jogging with a stroller seriously, you need a serious stroller to jog with. The current model of the Revolution by BOB is an absolute dream. It’s built very sturdily and it’s exceptionally well-made. It has received countless glowing reviews, especially with some of the updates they’ve made in the most recent version. If you’re looking for something with a TON of storage, this isn’t it, although it does have adequate storage. It also doesn’t fold up as small as some of the other more light-weight options, but that’s not really what it’s meant for either. There’s an advantage to the added size and sturdiness, for example the large wheels make it very easy to steer. The adjustable suspension system makes for an incredibly smooth ride, along with the large air-filled tires, even when you’re jogging quickly on a bumpy path. Granted, there’s always going to be some bumpiness if you’re on a bumpy path, but it’s much, much less than you’d get with other strollers. This is a great all terrain stroller. This is a versatile stroller that’s also available without the second seat. 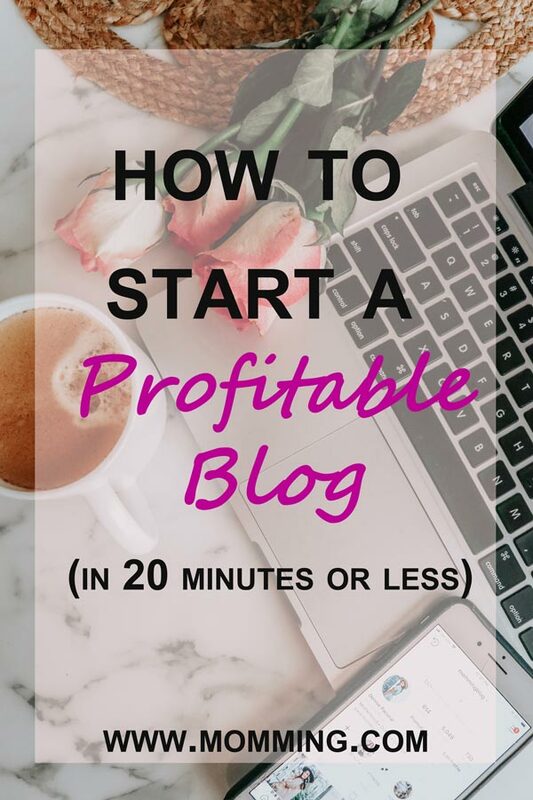 This particular link includes a bundle with both seats, everything you need to get rolling. This is the most versatile double stroller that can be configured into any number of different arrangements to suit the day’s pace. It can actually accommodate up to 3 kids using a ride-on board for the older ones. Car seats can snap in easily, and it can even fold up. You’re able to mix and match seats, bassinets, and car seats. If you have children of different ages and are planning on expanding your family, this stroller is the one for you. As mentioned above, it can accommodate so many seating arrangements for different ages/stages. You’ve really got to see it for yourself, so make sure you take a look at our link to see just how versatile it is. This is a #1 seller in the tandem stroller category, not in small part due to the very low price, but this stroller also has excellent reviews. It’s a light, simple umbrella style tandem stroller, but it’s also perfectly capable of handling basic usage. You’re not going to want to go off-roading or jogging with it, but for a trip to the mall you’re in decent hands. Make no mistake, this is a budget option, but it still has the basic features you would expect like reclining seats, the ability to fit through 30 inch doors, a compact umbrella fold for taking it with you, and it weighs in at a very light 19 pounds. In Summary: Which One Is the Absolute Best? 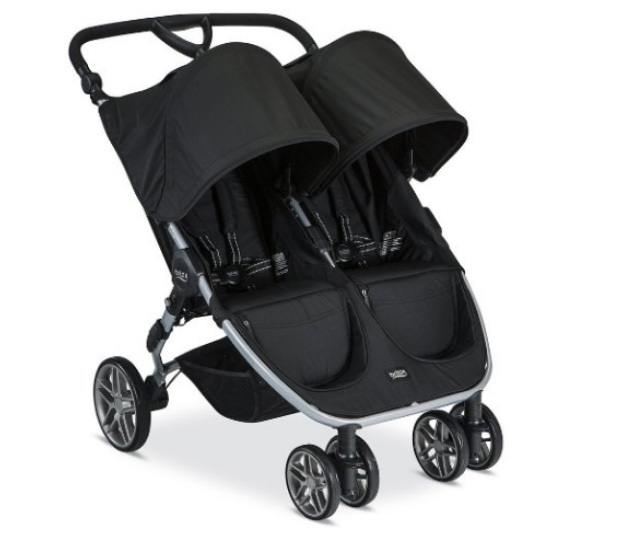 Each of the strollers we’ve featured has been the best in their category, but which is the best one overall? By best, we mean: best bang for your buck. The overall pick takes into consideration the fact that it needs to not only be excellent, safe, and versatile, but also at a price point where parents can know they’re getting great value for their money. With that in mind, the top choice is: The Britax B-Agile Double Stroller because it hits the perfect balance between price, quality, and features. It’s versatile, has a great reputation, and rests above the entry level, without breaking the bank or going too overboard. It’s stable, durable, and safe, while still remaining easy to transport and carry around. 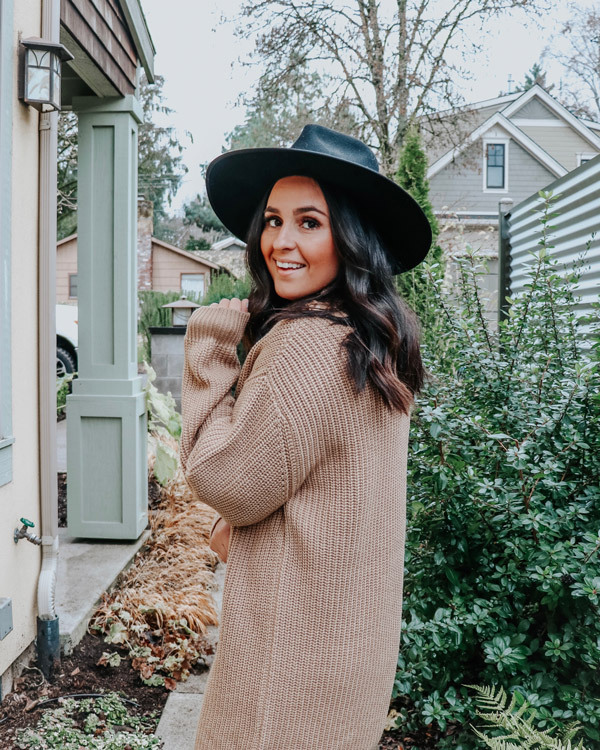 It’s the perfect balance for most families, and if you’re not going all out on the Baby Jogger, it’s an excellent other choice when you want more than something that’s just basic. Some parents feel pressured to buy the highest-end stroller possible, and in certain circles it’s almost like there’s a competition to “prove” how much you care about your kids by spending a small fortune on their strollers. On the other side of the coin, parents have been shamed for having very fancy strollers as well. There’s nothing wrong with having a more affordable stroller, and there’s nothing wrong with having a high-end stroller if that’s what you can afford. Rather than focusing on image, focus on your needs and getting the best use out of the option you choose. 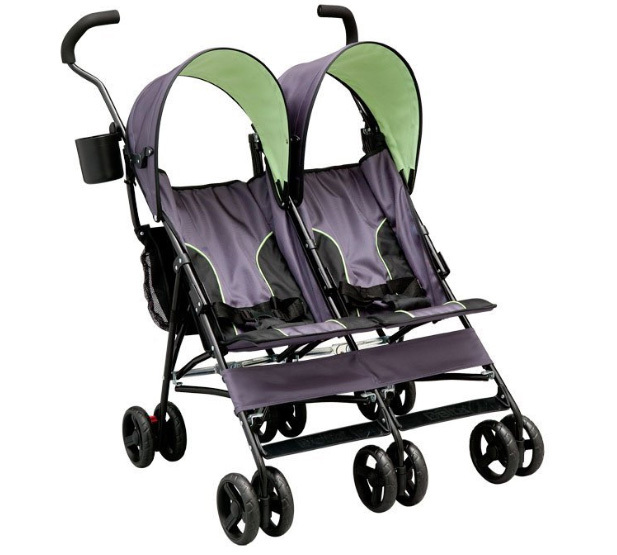 All of these strollers are nice looking and offer a variety of options to suit whatever purpose you are looking for. 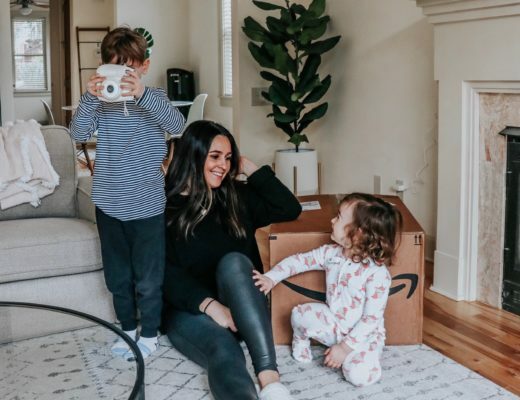 Hopefully this helps you narrow down your search for a double stroller and please leave a comment and let us know which double stroller you ultimately end up going with! If you are in search for a good single stroller, checkout my single stroller review post HERE.